Designed for drop shadows, highlighting or striping on glass and metal signage. 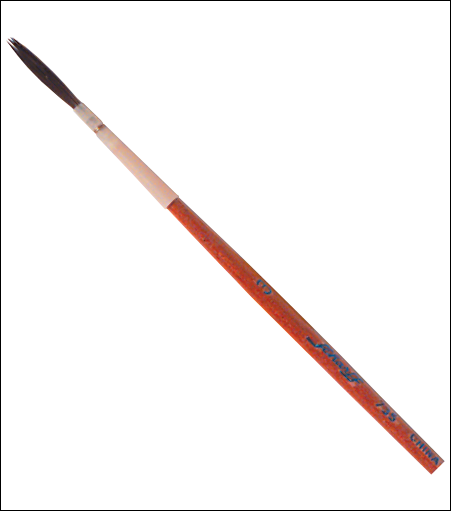 Extra long hairs hold more paint and enable you to paint a continuous line without having to reload your brush. 100% Brown Kazan Squirrel hairs.